The Ultimate VyprVPN Review In 2018 That Everyone Should Read! Your Internet Protocol (IP) address will never let you browse safely. 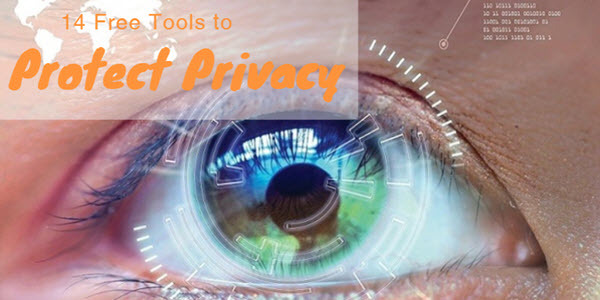 The spies, hackers, government, and advertisement agencies can quickly locate you and get your data through the main culprit IP. Furthermore, due to the IP address, you cannot visit the geo-restricted websites. To overcome these tracking and restriction issues several free and paid services are now available that promise to hide your original identity. Virtual Private Network (VPN) is the best among all. You may find an extensive list of VPN services such as ExpressVPN, IPVanish, and many more. VyprVPN is one of them. Here, in the VyprVPN review, we will expose all the facts about this service. Mostly, once any of the services are activated, all your internet traffic is directed towards encrypted channels in between your device and a VPN server. 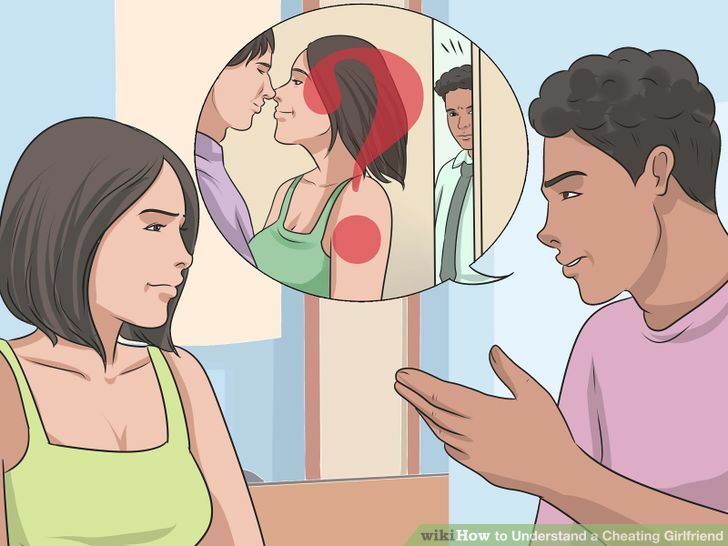 Consequently, nobody can see you on the internet. Not anyone on the same server and even your Internet Service Provider (ISP) can trace you. 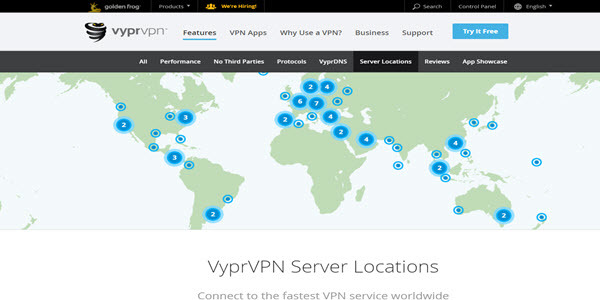 More Astonishing Features Of VyprVPN- Dig Deeper! Before selecting any VPN service, it is better to know every bit of details about that service. If you visit the official websites of the services, then apparently you will not see any negative point there. They all claim to be perfect for their users. The same goes for VyprVPN. Therefore, you may find a number of Vypr VPN review available to aid the customers investing in it. Based on Switzerland, the company has its own 73 location servers throughout the world that will ensure the privacy and security of the users. It has now gained fame due to its unlimited data usage and several encryption protocols. Just like other VPN services, VyprVPN offers 200,000+ IP addresses to mask the original identity of the user so he/she can access the blocked sites and protect from monitoring as well. Let’s dig more about it in details in this honest VyprVPN review. The official website of VyprVPN is highly attractive with a user-friendly interface. It has all the information briefly mentioned about the VPN, its highlighted features, and the reviews of the happy users on the main page. On the top of the page, you can see links to its features in detail, a reason to use a VPN, business, and a download link. Briefly, by just going through the website, you will get everything you are looking for. The best feature of VyprVPN is that it offers 700+ VPN servers in 70+ countries across six continents namely North America, South America, Europe, Asia, Africa and Oceania. Though the servers are lesser than the other VPNs in the market, they focus on quality, not the quantity. The company has its own servers and networks, not dependent on third parties, which ensure complete security of the user’s data. In this review of VyprVPN, you will be amazed to know that the service provides more than 200,000 active global IPs. Such a vast number is enough to prevent you from remaining blocked to any website. VyprVPN claims to provide fast speed to the users, as mentioned on the official website. You’ll know once you try them. The incredible number of location servers and IP addresses are enough to hide the original identity from anyone. Thus, you can have anonymous internet surfing with privacy. Since this is the VyprVPN honest review, therefore we will cover the negativities too. When it comes to data logging, unfortunately, VyprVPN policy clearly states that they will log the user’s data for 30 days. After the time period, the data will be automatically deleted. They claim that such logging is not to inspect the user’s activities or to block from using any app or visiting any website. Instead, VyprVPN retains the data to deal with billing issues, troubleshooting, evaluating the offered services, TOS and AUP matters. The logged data can be used to check and handle any criminal or suspicious activity across the VPN. The additional RSA-2048 handshake encryption further adds a security layer to state of the art AES-256 cipher. Although the Windows and Mac OS users can enjoy all the four protocols, however, there are some limitations. 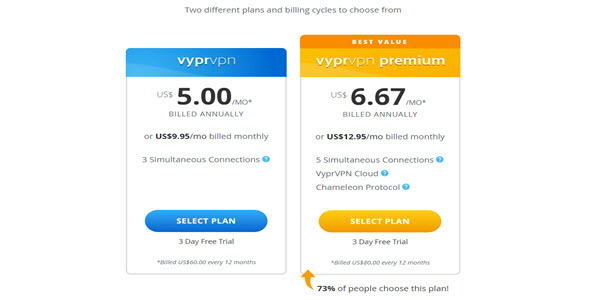 You can only enjoy the VyprVPN’s own Chameleon Technology if you subscribe for Higher-price package. The basic plan only provides less secure PPTP and L2TP/IPsec protocols. Likewise, the Android users can have both OpenVPN and Chameleon, but the iOS app users can use IPsec only. To get more security, iPhone users have to install third party OpenVPN and add VyprVPN credentials to use it. To protect from malicious attacks, the multifunctional VyprVPN provides NAT Firewall. Therefore, you don’t need to install any antivirus software if you have VyprVPN. It’s not just the options mentioned above that the service provides you. VyprVPN is actually more than you think. You may not find all the required information about its incredible service in every VyprVPN review. Nevertheless, VyprVPN has some more features as well to impress the users and let them select the deal. 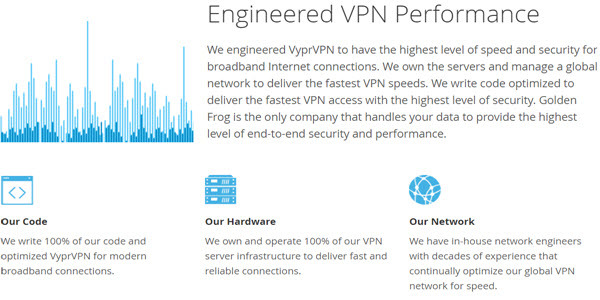 VyperVPN is the only company that has its own VyprDNS technology. This makes it unbeatable among all other VPN services. Since this is the company’s very own service; hence, the risk of monitoring from a third party’s DNS entirely vanishes. It will also not rely on ISP, thus improves the user’s privacy to a maximum extent. VyprDNS servers, just like the proxy servers, allow the user to access the geo-restricted and blocked websites. Thus, it removes the censorship barriers. By employing the proprietary DNS service, VyprVPN let the user enjoy internet surfing and without any fear of being watched by anyone. Additionally, VyprDNS is available with the zero-logging feature, so that the service will not record your names or the site’s URL you visit. This is contrasting to the commonly ISP provided DNS servers that may log the internet activities, and also block the websites to the users. It provides high-speed connection with top security from cyber-attacks. Chameleon Proprietary VPN Technology is the ultimate blessing that reduces the curse of extensive internet restrictions in countries like UAE, India, Russia, Turkey, and Syria. Even the Great Firewall of China is breakable due to VyprVPN. The immense Chameleon Protocol, as its name implies, let the user change the original color and bypass the firewalls of Deep Packet Inspection (DPI). This DPI can allow the ISP to block the tunnels or perform several operations to limit online trafficking by searching protocol information from the packet header. It uses unmodified OpenVPN 256 bit encryption protocol that scrambles packet metadata and thus hides the information from the robust firewalls. It cloaks the VPN use by disguising the OpenVPN traffic as regular HTTPS. In this way, VyprVPN let the user experience open and uncensored internet surfing. Chameleon technology efficiently makes VyprVPN for streaming fast with no bandwidth throttling and restrictions to access any site by your ISP. It also prevents VPN blocking and saves your data from the snoopers. The operating systems Windows, Mac OS X, and Android, and flashed routers support Chameleon Protocol. However, you can enjoy the service only if you subscribe to VyprVPN Premier Plan. Security of the user is what the foremost priority of VyprVPN. The hackers and malware can easily enter your device via unsecured and open connections by some of the applications. To protect the user from these malicious attacks and cyber-attacks, VyprVPN comes up with its NAT (Network Address Translation) Firewall. This feature, though not enough to break the Firewall, however, it is responsible for blocking all the unrequested inbound traffic, for example, the bots ‘scanning’ for exploiting the open ports. Hence, VyprVPN automatically protects the device connected to the VPN server without any additional configuration. The fantastic option is available for all the subscription plans. VyprVPN is for everyone. Therefore, it is compatible with all the operating systems. The Client software of VyprVPN is available for Windows, Linux, and Mac. You can download the mobile app version on the Android, iOS or iPhone, and BlackBerry smartphones. VyprVPN applications for SmartTVs and Routers also exist. It supports OpenWRT, DD-WRT, Synology NAS ASUSWRT, Boxee, QNAP, and Anonabox as well. Only a few VPN services allow multi-logins. Fortunately, VyprVPN is one of them. You can connect up to five devices with the VPN and enjoy safe and anonymous internet ride from all of them at a time. There is something much essential to mention in our extensive VyprVPN review. The number of device connections is dependent on the subscription package you opt. You can log in with only two devices if you are Basic service user. However, Pro and Premium subscribers can enjoy three and five device connections respectively. With VyprVPN torrent and P2P file sharing or BitTorrent is possible. Regardless of the servers, you are using; even VyprVPN cannot monitor the trafficking across their network or block the use of any ports. Being the member of Internet Watch Foundation, the company will not allow the user to share and criminal or illegal content through their service. The VyprVPN terms and conditions also state not to transfer or receive copyright works without the permission of the beholder. Therefore, the company strictly warns the users of sharing unlawfully copyrighted or other illegal content. They will have the right to terminate the VyprVPN account or forward DMCA notice to the user’s inbox. Hence, we can say in our unbiased review of VyprVPN that this VPN is not for the enthusiastic torrenters as a single mistake will lead to account termination. VyprVPN also has the feature of switching the servers at any time. This will allow the user to select the fastest server if any of the servers are down at a particular time or place. Likewise, there are no bandwidth restrictions with the VyprVPN. Both of the features together let the users have the speedy internet surfing. Kill Switch is the option that is rarely present in the VPN services. Fortunately, you can count VyprVPN among them. It protects the internet user when the VPN disconnects, due to any reason, by blocking all the traffic. 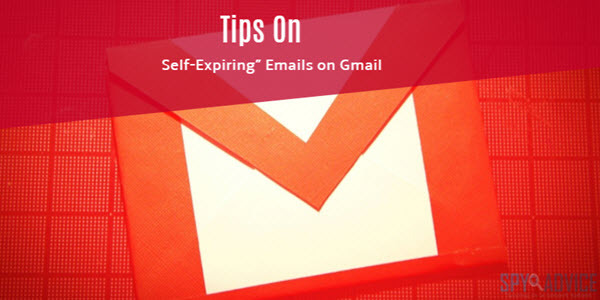 This will prevent leakage of your data and your online visibility to the third parties. Thus, VyprVPN gives 100% safety from the cyber-attacks. Besides for the operating systems you have on your laptop or computers, VyprVPN is available for other gadgets too. You can also enjoy anonymous internet browsing with complete privacy and security on your smartphones, smart TVs like Android TV, and Routers. Additionally, the VyprVPN has launched its other software as well that adds further safety for the user. This is something exclusive to the VyprVPN service. VyprVPN mobile version is available for those who usually prefer smartphones for using the internet. It supports both Android and iOS phones. However, the features allowed are a bit different. You can have VyprVPN download from iTunes and Google Play Store for iPhone and Android respectively. VyprVPN Android application supports the software 4.0 and above. You can download it from the Play Store or have a .apk from their VPN Apps->Android page. The version allows the user to have a safe internet journey on the Android Handset too. The VyprVPN app has so many features, which it offers to the Android users. VyprVPN app is also available for iOS 6.0 or higher. Therefore, the users can experience safe net usage on iPhone, iPad, and iPod touch. Unfortunately, this version does not have many features like that of the Android app. Let’s have a look at the VyprVPN iOS App features. If any VPN supports router, then this will be the best thing about that service. VyprVPN is also not behind any service. VyprVPN provides an application that supports Tomato MIPS/ARM capable routers. The router will be considered as one device. Therefore, you can use and protect so many devices with the VPN connection in just one subscription. The VyprVPN app for routers comes with several advantages that you may rarely find in other services. Let us tell you about the rare addition of the service about which you may find in a few VyprVPN reviews. VyprVPN Cloud, earlier known as VyprVPN Server, is a unique, user-friendly, and easy-to-use application. It actually makes the additional layer of security while accessing any public or private cloud servers. Without requiring any hardware, it provides minimum server space of 1GB. 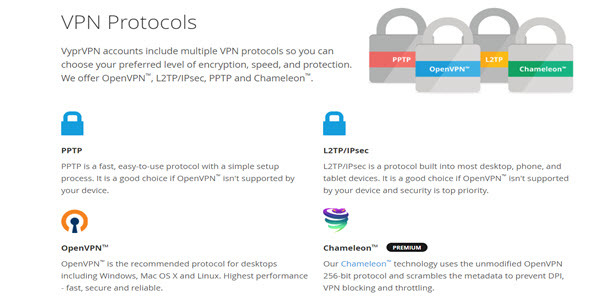 Moreover, it offers OpenVPN, IPSec, and Chameleon protocols. 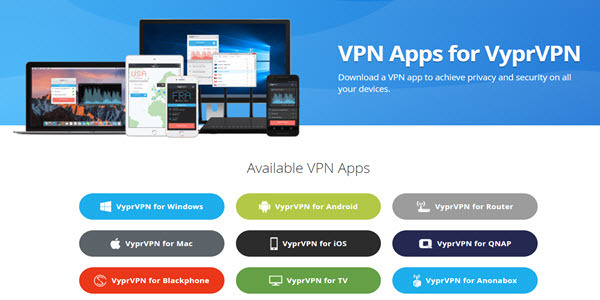 VyprVPN Cloud app is compatible with Windows, Mac, Android, and iOS devices. It has recently started working with Amazon Web Services, DigitalOcean, and VirtualBox. Chatting is no longer unsafe with VyprVPN Cyphr Messaging App. The VyprVPN free messaging app, for iOS and Android devices, allows end-to-end encryption of text messages with no fear of text logging. Even anyone on VyprVPN cannot read, share, or decode your texts. Only you and the receiver can read the conversation using public and private key pairs. You can create after having a free account on the app. The Cyphr app temporarily stores the encrypted message, the recipient, and time of receiving the text for a shorter period. However, it still protects your conversation from cellphone providers and third parties. Even the VyprVPN Company itself cannot access it. The most important feature that people desire in their VPN is to access the geo-restricted sites. Moreover, the VPN should workable in the countries known to block the VPN even. The two most robust parameters for any VPN are Netflix and China. If the VPN pass these two exams, then the VPN is no doubt the best one. With the help of VyprVPN Netflix and other streaming sites like Hulu, BBC iPlayer, and Hulu, are no more inaccessible. These sites are usually blocked in different countries. To access the geo-restricted is the ultimate target for the VPN. Luckily, VyprVPN provides the fast, stable, and user-friendly experience of unlocking Netflix by just one click. By changing the original geographical location, it let the user appear from the country where the site is unlocked. Due to this, the user can access the content that is actually not allowed for viewing in the particular region. Among the other proxy servers, the best choice is VyprVPN for streaming Netflix US. However, it is still behind in accessing the Netflix sites in the UK and some European countries. As mentioned earlier, the unique feature of VyprVPN is the availability of Chameleon Protocol for the users. It encrypts the VPN tunnel and hides it so that the user appears to be online from a regular connection. This is the most excellent feature for those living in heavy censorship countries where the government is smart enough to block the VPN even. Therefore, the Proprietary Chameleon is the ultimate breaker of the Great Firewall of China. It allows the users particularly in China to bypass the obstacles in the way of internet usage. This technology blends the VPN traffic with the regular one so there will be no chance of VPN blocking by government or ISP. Thus, the user can easily dodge the censorship and restrictions. Before visiting China have VyprVPN download so that there will be no risk of being blocked at all. This Vypr VPN review will remain incomplete if we do not introduce the parent company. In response to mass investigation and enormous data collection by NSA (US government Spy Agency), Ron and Carolyn Yokubaitis, the cofounders of Giganews, launched the Golden Frog Company. Golden Frog is a global company providing solutions to internet privacy and security issues. They offer a multitude of products that mainly include VyprVPN and VyprVPN for Business. Incorporated in Switzerland, the headquarters of Golden Frog is in Austin, Texas. Switzerland was wisely selected as legal jurisdiction, due to its popularity for having the strong privacy policies. Being not the member of 5 Eyes or 14 Eyes mass surveillance alliances and of EU, Switzerland has added data protection laws in their national legislature structure. However, by employing own location servers and DNS networks, Golden Frog clearly shows that there is no compromise on the user’s anonymity. However, they log user’s time stamp, information regarding the IP address, and amount of bytes used. They do so for handling billing, troubleshooting, and other such issues. VyprVPN price models are simple yet different from other VPN services. The best thing is that all subscription signups are made under the secure HTTPS connection. VyprVPN offers two tiers Basic and the Premium. You can sign up for monthly billing or for annual billing which is at the discounted rate. They actually believe on “The more you Pay, The more you get”. The other features are limited depending upon the package you subscribe. Let’s compare both subscription plans. The VyprVPN price packages are for the desktop and laptop users. The mobile app service is a little expensive. For both Android and iOS users, the charges are $14.99 per month and $99 per year. For providing latest VyprVPN review 2018, we have studied the payment modes thoroughly. Unfortunately, we haven’t found any way to pay via Bitcoin or any other cryptocurrency. Consequently, the user must insert his/her Personal Identifiable Information with no option of anonymous payment. Almost all the users hesitate before investing in the paid services. This is because if the service does not appear to be on the mark, then the money will be lost. Sadly, not all the services offer a Refund policy. The VyprVPN offers a free trial and a money-back guarantee too. The Vypr VPN free trial, according to the latest update, is for three days. Within this period, the user can enjoy up to 1GB free data with all the services of the Premium package. You just have to enter your email address and password of the VyprVPN account. After this period, the subscription will charge for $99.99 annually, if the user doesn’t opt for any package. If you think the time is not enough to test the VPN progress, then here comes the most peculiar attribute- the refund policy. VyprVPN is now offering 30-days money back guarantee for all the subscription plans. This makes VyprVPN free for the whole month, which is definitely a sufficient time to check whether the service suits you or not. Make sure, to get the refund you have to cancel the subscription within the 30-days. This offer is for the new members so that they can test the VyprVPN. On the official website, there are no video tutorials or PDF files for VyprVPN download and other detailed guidance to help the new members. Therefore, you have to rely on the customer representatives for any help or query. You can access the customer representatives and ask for the query any time. The website offers Live Chat Option where after entering your details, you can chat with the team member. There is a Support Tab. By clicking on the Support, you will be directed to a page with ample information about the VyprVPN, Cyphr, Account Management, and other Helpful links. By thoroughly reading the information, there will be no need left to ask any question further. Still, if there is any query or confusion, there is an option to contact VyprVPN members via email (support@goldenfrog.com) or fill the online form. They claim that the team is available round the clock, 24/7 throughout the year to help and satisfy the old and new customers. Let’s talk about the VyprVPN review Reddit shares with us. You may find mixed reactions on Reddit. Besides having excellent features, which the Redditors are appreciating, on the other side, some of the users find difficulty in installation of the VyprVPN app on iPhones. Furthermore, VyprVPN does not work well for Netflix streaming via US servers, as the comments suggest. Nevertheless, you may observe the reactions of the happy customers too. VyprVPN supports all the operating systems, and so the client app is available for all. 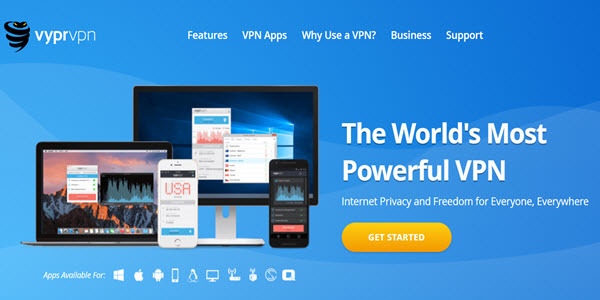 Here, in the extensive VyprVPN review, we will provide you stepwise guidance for the Windows, as this OS is commonly used throughout the world. The VyprVPN VPN login is very easy. You will see a “Get Started” button on the front page of the official website. After clicking, the first step is to choose the package. Next, a form will appear where have to enter your name, email address, location, and billing details. After the login is complete, you will get the confirmation email on your mentioned email address. Download the Windows VyprVPN .exe file and start the installation by clicking on “Next” on the installation setup. Select “I Agree” to the license agreement. Choose the components, and the location of installation after clicking “Next” both the times. The VyprVPN is now installed on your computers. For connecting with VPN, “Double Click” the VyprVPN icon. Click on “Connect” button at the top of the pop-up window. VyprVPN will automatically connect you to the fastest server. With the configuration of the VyprVPN, you can enjoy the service, as you like. Here are the steps for the manual settings of the VPN. Click the “Gear icon” on the top right of the app. Select “Options” and then “Connections” to configure Windows startup options, Kill Switch, and Public WiFi settings. Select your desired encryption protocol. Click DNS to select the DNS service and to enable DNS Leak Prevention. Select “General” for changing the default settings of Sound, Desktop notifications, and Language. Click on “Account” to update the VyprVPN or to log out from the service. Select Advanced to configure settings Route delay, Verbosity, MTU, and TLS timeout. These are the easy steps for VyprVPN VPN login, installation, and configuration guide. You can see that with just a few clicks, you will experience the safest and anonymous internet drive with full privacy. Before choosing any VPN service, you should check whether it is safe and trustworthy or not. All the free and paid VPN services promise to protect the user’s data. However, you should thoroughly read the privacy policies, so that you will know how much of your data is at risk. The best thing about VyprVPN is that there is nothing hidden. Golden Frog clearly shows in their policy that they will log the user’s IP (both the original and of VPN) for 30 days. This is in contrast to many VPNs that claim “no-log” policy. It is a bit risky as IP address is the primary source to access the location and other details of an internet user. Additionally, you must enter your entire personal information, even to ask something from the Live Chat Option just once. Likewise, you cannot pay them anonymously, as they do not accept Bitcoin. VyprVPN is based on Switzerland, the safest place to provide anonymity to the online users. However, you should not forget that the Company Headquarter is in the US, the home of spy agencies. Being still in allegiance with the US-EU Safe Harbor Framework and member of Internet Watch Foundation, the company can provide the user’s information to the authorities. If you are an ordinary user that wants VyprVPN for streaming and gaming purposes, then VyprVPN is best for you. Since this is the Tier-1 network with own DNS and location servers, so there is no risk that any snooper can access your online activities. However, if privacy and data security is your priority, then think twice because VyprVPN never said that they have too “no-log” policy. We have mentioned all the negative and positive aspects of the service in this VyprVPN honest review. Despite the great features, there are still some problems that need to be solved. Let’s have a brief look at the Pros and Cons of VyprVPN. Provide more than 200,000 IPs. In the current era, where it is difficult to live without the internet at the same time, it is nearly impossible to use the internet securely. To counter the risks of snooping by anyone many VPN services are now available that let the user browse the web with anonymity and privacy. Here we provide you VyprVPN review. VyprVPN, Switzerland-based VPN, has so many features that make you fall in love with it. It is a Top-Tier Network, with own location and DNS servers, with no involvement of any third party. Besides the encryption protocols, offered by many VPNs, VyprVPN has unique Chameleon Technology that even masks the VPN traffic to appear as the regular one. The NAT firewall protection adds another layer of security to both the user and the device from the malicious attacks. The compatibility with all kind of gadgets makes it unbeatable in the VPN market. As you saw in this VyprVPN review 2018 that besides the two subscription offers, the VyprVPN is now providing free trial for 3 days and the money-back guarantee for the whole month. There are some drawbacks too. Many of the features are available only in expensive plans like Chameleon protocol and device connections. Additionally, they log some of the user information that may be inappreciable for privacy seekers. Briefly, we can say that it is a better choice among the other VPNs. Hope our article help you to choose the best VPN for you.